The latest film from Leviathan director Andrey Zvyagintsev is released in UK cinemas on 9th February. You can find my review of Loveless from the London Film Festival at Starburst Magazine here. 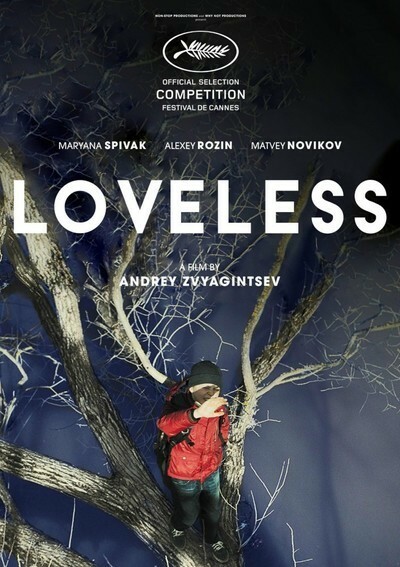 "Stuck in the loveless marriage of the title, a divorcing Russian couple must try to put aside their hatred of each other when their neglected son suddenly goes missing. As if just living with your ex isn't bad enough, Boris (Alexei Rozin) and Zhenya (Maryana Spivak) are forced to cooperate not just with the police and volunteers, but also with each other..."